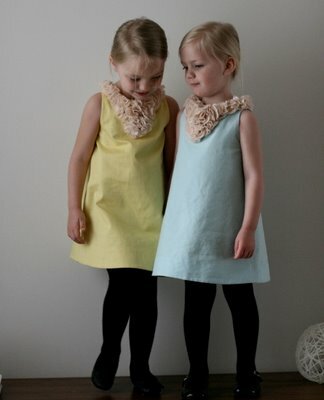 how cute are these ruffled flower collars that katie of katie did sewed up for her girls easter dresses? i may have to make one for my baby girl. maybe a onesie one? katie posted a great tutorial on her blog on how to make these. click here. Fantastic! This is a DIY I can get behind. CUTE!!!! i have to try this for isabelle!!! I just love her work. I too am using this tutorial, hope it comes out as lovely as her’s. Cute ruffle collar. Love this style!